The House Communications Subcommittee held a long-delayed Federal Communications Commission oversight hearing July 25. Overall, the review of the FCC was split along partisan lines. Republican representatives generally expressed satisfaction with the work of the FCC over the last nine months. Democratic representatives felt differently. The hearing touched on a variety of policy issues, from spectrum allocation, to cybersecurity, to emergency alerts. Below we unpack the main takeaways from the hearing, including news about the decision to block Sinclair’s acquisition of Tribune, and the future of broadband policy. The hearing was originally scheduled for February 16. In the announcement of this week’s hearing, Communications Subcommittee Chairman Marsha Blackburn (R-TN) partially explained why it had taken so long to reschedule: “This subcommittee has been busy this Congress working to improve our nation’s communications systems and infrastructure for the 21st century, including passing the first reauthorization of the FCC since 1990.” The RAY BAUM Act, a bill signed into law in March, reauthorized the FCC and changed many FCC reporting requirements to Congress, among other things. Democrats on the panel aired a number of grievances, including the long delay of the hearing itself. Specifically, minority leaders are frustrated because the FCC has not been responsive to their letters. "We have a job of oversight and it's hard to have oversight when nobody responds to you," Communications Subcommittee Ranking Member Mike Doyle (D-PA) said before the hearing. Federal Communications Commission Chairman Ajit Pai, Commissioner Michael O’Rielly, Commissioner Brendan Carr, and Commissioner Jessica Rosenworcel testified at a Congressional oversight hearing for the first time since October 2017. There was much to discuss. Majority Opinion: Things are good! Chairmen Walden and Blackburn used their opening statements to praise the work of the FCC, particularly around “improving our emergency alert and 9-1-1 services” and for expected future cooperation with the FCC on implementing the reporting requirements of the RAY BAUM Act. Their tone matched that of Chairman Pai’s prepared remarks: things are fine, light-touch deregulation is good, and concerns over net neutrality and privacy are overblown. Minority Opinion: Things are not good! Democratic participants did not agree. Subcommittee Ranking Member Doyle bristled at the "Chicken Little" characterization in his opening statement. He said the FCC has been favoring corporate interests over those of the people. Rep. Doyle also said the FCC had gutted the Lifeline subsidies, deregulated broadcasters to the detriment of the public, including weakened children’s television rules, and said the FCC was putting the convenience of carriers over the safety needs of the public in its transition from copper to fiber. Commissioner Rosenworcel, the lone Democratic commissioner at the hearing, countered Chairman Pai's optimism and testified that in the previous several months, the agency "acted at the behest of the corporate forces that surround it, shortchanging the American people." Despite the early barrage, minority leaders Pallone and Doyle expressed some praise over the FCC’s recent actions that could block Sinclair’s acquisition of Tribune. The agency designated the deal for review on the grounds that Sinclair had misled regulators. Despite the praise, the Sinclair merger was still a major subject of lawmakers' inquiries, partly due to a tweet from the Commander-in-Chief. At the oversight hearing, Chairman Pai stood by the FCC's decision to designate the Sinclair-Tribune deal for review. Rep. Pallone took the lead in pressing Chairman Pai on President Trump's tweet and asked each commissioner whether they agreed with it. Chairman Pai said he stood by his decision, saying he would look at the facts, apply the law, and decide based on what was in the public interest. Commissioner Michael O'Rielly said he could not answer since the issue had been referred to the FCC judge. Commissioner Brendan Carr said the hearing designation order had laid out the fact and law as applied. Commissioner Jessica Rosenworcel said she did not agree with the tweet. Rep. Pallone asked Chairman Pai if the FCC would conduct an investigation into issues of candor and misrepresentation cited in the hearing designation order, either now or when Sinclair TV station licenses come up for renewal. (Lack of candor with the FCC can be a basis for revoking broadcast licenses.) Chairman Pai said. on the advice of the FCC's general counsel. that he could not answer since such an investigation was inextricably linked with the hearing issues. Commissioner Rosenworcel said the FCC should be open to investigating Sinclair for character qualifications based on allegations of lack of candor. The President's tweet had suggested there was a need for a conservative voice like Sinclair's. Rep. Pallone asked whether ideology went into whether the FCC approved or denied a deal. Chairman Pai echoed his answer to how he would view mergers supplied at his 2011 nomination hearing, saying he would look at the facts, apply the law, and decide based on what was in the public interest. Rep. Anna Eshoo (D-CA) struck a less friendly tone on the FCC’s efforts towards closing the digital divide. After criticizing Chairman Walden’s description of net neutrality and privacy concerns as “falsehoods,” Rep. Eshoo moved onto the issue of broadband. She said that 24 million people have “low or no broadband.” Every time the FCC comes here we go over and over and over this issue and it’s not getting any better, she said. “Is there a 5-year plan at the FCC on this?” she asked. Commissioner O’Rielly responded by questioning her 24 million number, claiming that this ignores the 10 million people who have Internet access via satellite. Commissioner O’Rielly said, "We are working on the really hard area -- Remote Areas Fund needs to be set up. And we're going to need additional funding that we don't have today. And it will either require contributions from Congress in federal dollars, which I've testified in favor of, and the dollars went to other federal agencies, or it's going to require additional contributions from ratepayers to the likes we haven't seen before." Rep. Welch noted that in the 2018 Broadband Deployment Report, released under the leadership of Chairman Pai, there was a determination that broadband services are now being deployed to all Americans at a reasonable and timely basis. “What you said in your statement is that the current FCC is now meeting its statutory mandate to encourage the deployment of broadband in a reasonable and timely basis,” Rep. Welch said to Pai. "That's not what Congress is requiring. It's not to encourage. It's to Get. The job. Done." 24 million Americans lack access to fixed broadband at speeds of 25 megabit per second (Mbps) download speed and 3Mbps upload speed; i.e., 25/3Mbps, the FCC standard for "broadband." Pai agreed. 31% of rural Americans lack access to broadband service. Pai agreed. 44 million Americans lack access to both fixed at 25/3Mbps and mobile LTE broadband at 10/3Mbps. Pai said he had to double check those numbers, but had no reason to suspect they were incorrect. Rep. Welch also wanted agreement that it is not the FCC’s job to encourage broadband deployment, but rather to get it done. “Absolutely,” Pai responded. 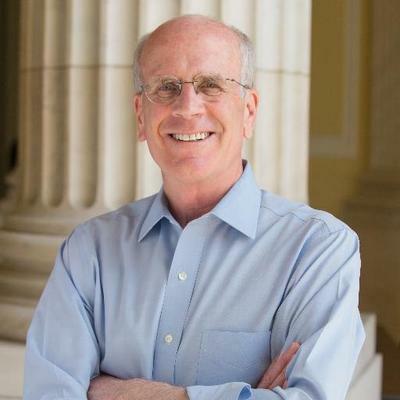 WELCH: I have heard you talk about what you see as the benefits of deregulation including the elimination of net neutrality, correct? WELCH: Alright. Let me be explicit. We could give you a pen, and you could write a revocation of every single regulation that exists. Will that provide the financial incentive for broadband carriers to buildout on dirt roads in Vermont and Iowa and Kansas where there is one house every half mile? PAI: Congressman this is the central problem. In too many parts of the country there is no private business case for deployment. WELCH: Exactly. That’s my point. [Crosstalk] Deregulation won’t get it done where there’s no market opportunity. PAI: That is not correct, congressman. Look at the letter from VTel [Vermont Telephone Company] which I appended to my testimony. VTel stated specifically they are spending millions of dollars more because of these regulatory modernizations. At that point, Rep. Welch’s time expired. “[T]his is a real, ongoing problem,” he concluded. Rep. Jerry McNerney (D-CA) asked questions on Lifeline, to which Commissioner Rosenworcel upbraided Chairman Pai and her colleagues for cuts to the program. Rep. Deb Dingell (D-MI) questioned Chairman Pai on why the agency has yet to provide documentation of the supposed distributed denial of service (DDoS) attack it faced after comedian John Oliver told people to file net neutrality comments. Chairman Pai generally punted on the question. Rep. Eshoo followed up on Chairman Pai’s non-answer, asking if Chairman Pai had referred the alleged DDoS attacks to law enforcement. Chairman Pai repeated that the FCC doesn’t have criminal law jurisdiction, again not answering whether the FCC had discussed the matter with authorities who do have jurisdiction. Chairman Pai ultimately said the FCC inspector general is close to releasing his findings on the attack. Commissioner Rosenworcel saw it quite differently. She said she did not think the FCC had been sufficiently cooperative with the various investigations, including one by New York state, and that that was a problem. "Our claim that the agency suffered a distributed denial of service attack following John Oliver’s report on our net neutrality plans is just not credible," she added. Republican lawmakers and policymakers have been satisfied with the “light-touch” deregulatory approach to communications policy the Pai FCC has implemented. Democrats disagree, arguing the policies have hurt the American people, often at the benefit of corporate interests. Regardless, we anticipate much of the same oversight in the months ahead, hopefully on the quarterly schedule that the Republican leadership of the Commerce Committee promised. “Since the FCC is shirking its responsibilities, Congress should be conducting more oversight in the future,” Pallone said. We’ll see. As always, you can follow FCC news everyday in Headlines.